"Sous les ponts de Paris" was written in 1931 by Vincent Scotto and Jean Rodor. The English lyrics were written by Dorcas Cochran. 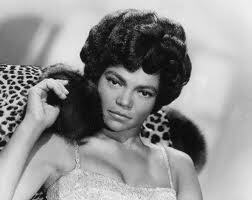 Both Eartha Kitt and Dean Martin released versions of the song in the mid-1950s. The song is also covered by many other artists, including Vera Lynn, Percy Faith, Michel Legrand, and The Three Tenors (Carreras, Domingo, and Pavarotti). This is by far the most sensual.